This is a completely delightful book from Gaiman. What at first may seem a slight tale, becomes, over the course of reading it, a wonderful tale of a baby who is raised by the ghosts of a graveyard after his parents and siblings are killed. If you haven’t read any of Gaiman’s work yet, this might just be the best place to start, and if you have read his previous books, then you’ll need no further encouragement from me to pick this one up as well. This is a must read book for anyone involved in church ministry, whether lay or clergy. 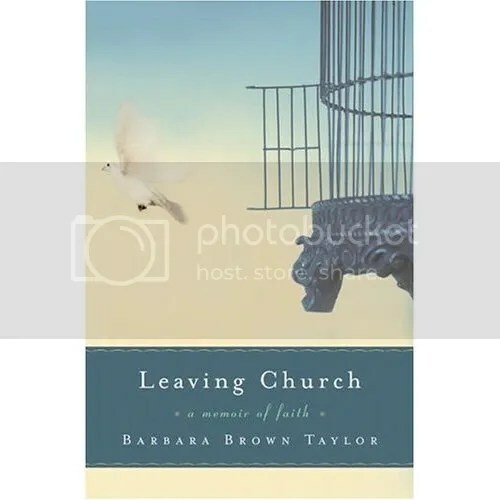 Taylor discusses the joys and sorrows of ministry as a parish priest in the Episcopal Church, and her astute observations of congregational life are a joy to read. A few quotes from the book readily illustrate this. I guess part of the appeal of this book to me is that I live with many of the same tensions and questions that Taylor has/had.